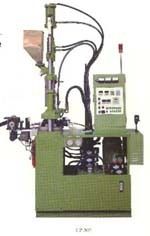 This machine is to inject the plastic zipper chain. 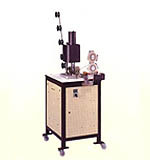 Mold length: 12", 14" or 16". sipperspecification #3,#4,#5,#8, #10 are available to make and it need different mold. 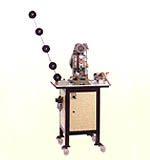 After Chain welding and we need to punch a hole and this machine will punch hole automatically. 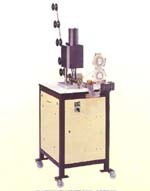 This machine is designed to gap the teeth for request length. The gapping size is accurate and no need to use labor for teeth stripping. 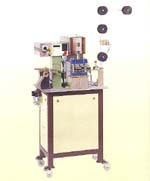 Power: 1Hp,If you have model: CP-525 then you do not need to use this machine for gapping. 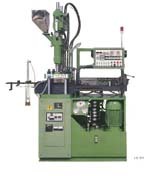 The CP-525 injection machine can gap the teeth when make the moulding chain. 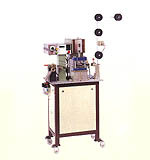 After Chain with gapping size, we can use this auto film welding machine to make two film welding. 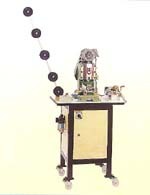 This machine is designed to inject top stop and pin box in one shoot after hole punching. 權鋒有限公司 CPC & LIU CO., LTD.